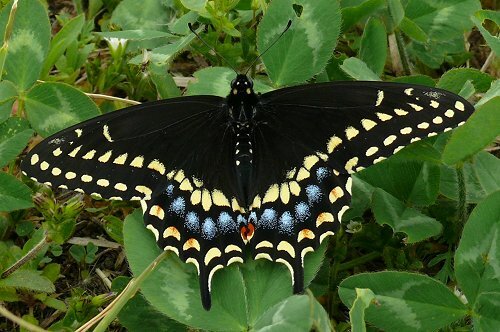 Here's a female Black Swallowtail laying eggs. 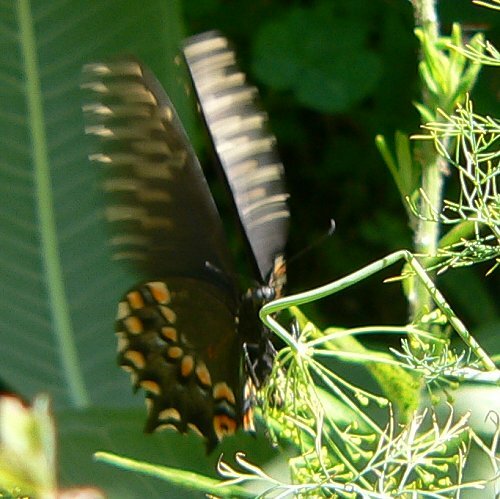 She hovers next to the plant without landing on it. 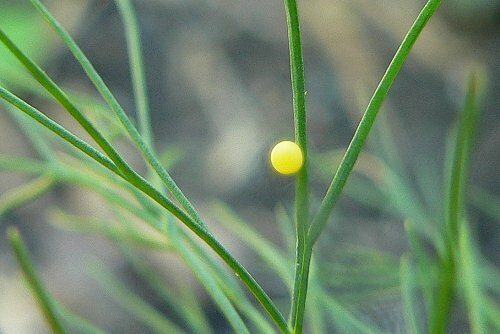 Here's one of the eggs, on Dill. 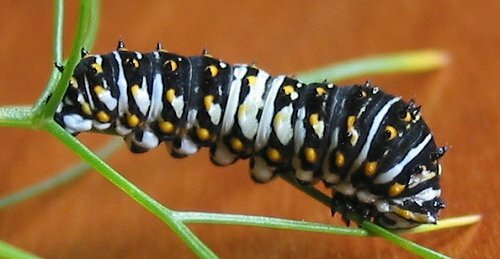 In the early instars, the caterpillars are usually dark with a white saddle. 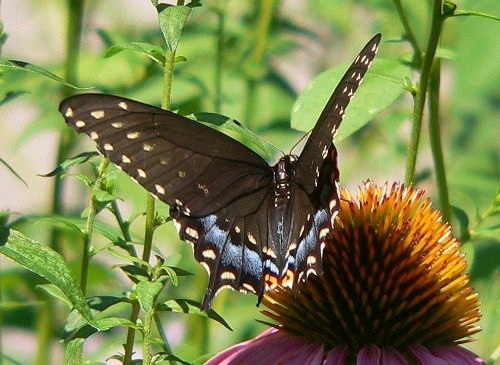 Sometimes I've seen lighter ones, with more white and orange coloring. 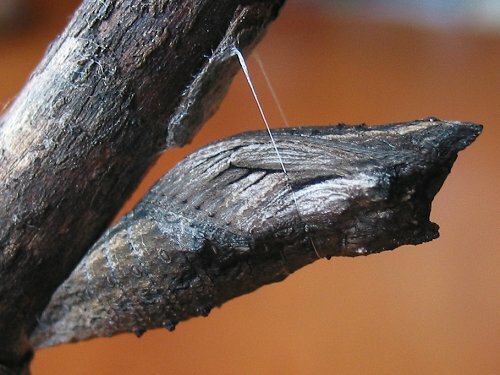 If the caterpillar forms its chrysalis on a rough surface - like a stick - the chrysalis will usually be brown. 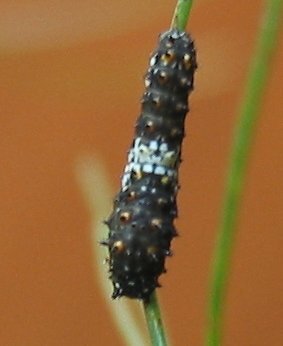 If it forms on a smooth surface - like a dill stem - it will usually be green. 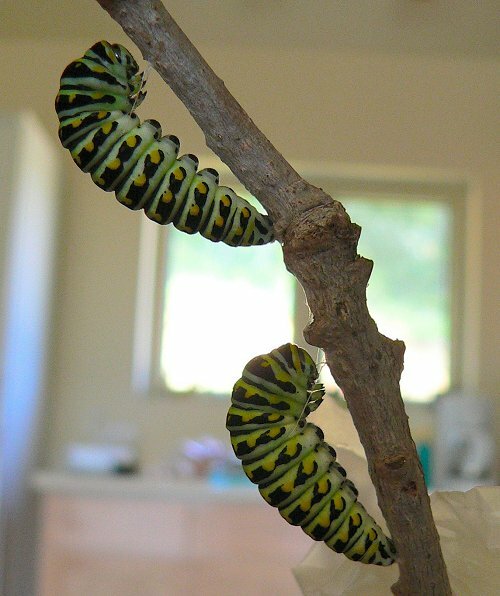 During the summer it takes about 10 days from the time the chrysalis is formed until the adult butterfly emerges. 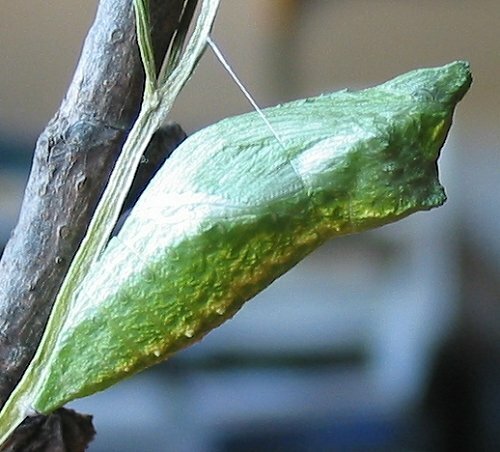 In the fall, the chrysalis may overwinter and not emerge until spring. 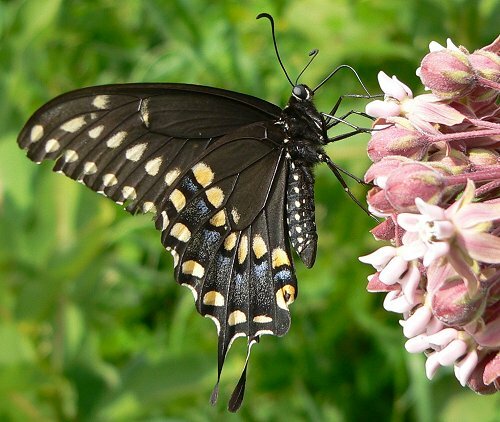 This entry was posted on Wednesday, February 11th, 2009 at 4:11 pm	and is filed under Butterflies, Lepidoptera. You can follow any responses to this entry through the RSS 2.0 feed. Both comments and pings are currently closed.